Our Group Technical Director shares some insights into Daytona's approach to owning and preparing 250 race karts for our 100,000 drivers each year. As we prepare our servers to launch our new Online Booking system, the IT team are conscious that some drivers have multiple driver profiles in our venue’s systems. If you do have multiple profiles, then there is the risk that your racing history will not include all of your races at that circuit as some races may be allocated to different profiles – it also mean that you may receive more than one email from us when we send you special offers and news about Daytona! 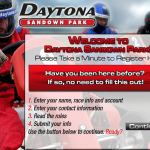 If you have raced at a Daytona circuit, you don’t need to create a new driver profile when you book online or arrive at the circuit as we already have your details. When you book online you should use your username and password to ensure that the booking is added to your correct profile. 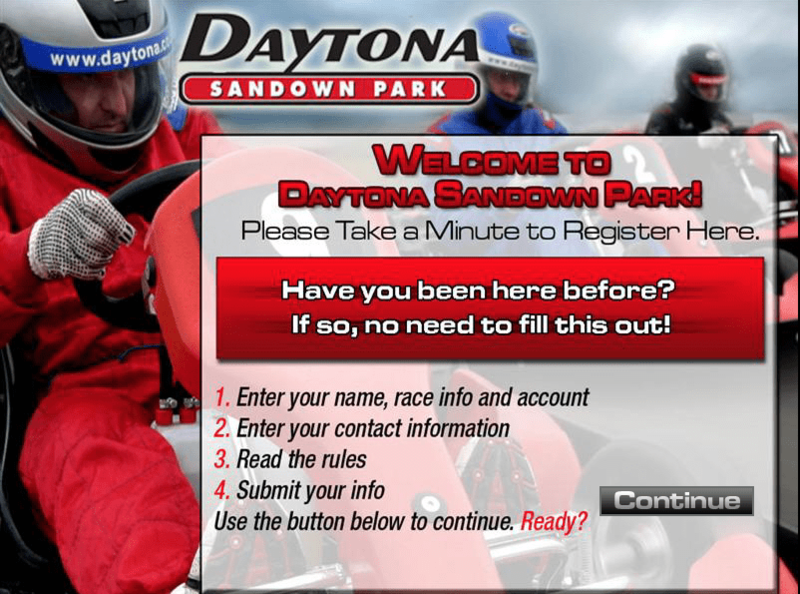 If, for any reason, you don’t know your username and password, you can click the link to reset it – but please note that the system will not be able to reset your access if you do have multiple profiles – and you will need to phone the team on 03303327870 or email info@daytona.co.uk to get your duplicate profiles disabled. When you arrive at the circuit, don’t create a new profile at our registration kiosks – just head straight to Reception and we will be able to access your profile and invite you to sign in for the race. If you do receive multiple emails, then do please let us know so that we can disable all of your profiles apart from your main one and then you will get less emails from us – and your race history will be accurate. We are very excited about our new online booking system that has been designed from the ground up to offer you a better overall booking experience – only showing specific event types and races that you want to see – and giving you the chance to book multiple races at the same time. Keep watching this space as the update is rolled out in November. We have always been committed to making the very use of technology to drive our business forward and, as we look forward to the impending launch of our new online booking system, we thought it would be interesting to explain how our race management technology works. Each of our venues has its own dedicated Race Management Server that gives us total control over the systems across the venues. The Race Management Server looks after everything at the venue including scheduling events, taking bookings over the phone and at Reception – as well as online bookings, our electronic point of sale systems, financial reporting and all race timing and reporting. Each time one of karts crosses a timing loop at one of our circuits, the system records the lap and lap-time. It allocates the lap-time to the kart and to the driver/team registered to that kart. This data is then used to drive our Speedscreens across the venue and our live Online Timing. The timing data is also used to ensure that all of our karts are lapping within the required performance parameters – namely that all fleets of karts are capable of lapping within one second of each other on every lap. The engineering teams at the venues are also able to use the timing data to ensure that we maintain the karts according to their usage. Much like your road car’s servicing requirements, we are able to “life” parts and put in place preventative maintenance based on each kart’s usage. If you visit our Daytona Live section of the website, you can log in (as long as you have set up a username and password) to each circuit and view your past races, including all of our results and lap times. If you have any problems with this, then you have probably set up duplicate accounts on our servers. We regularly find driver with more than one profile at each circuit – remember, if you have raced at one of our circuits, then you don’t need to create a new profile at that circuit. If you do have multiple profiles, please do ring or email the team who will happily merge your profiles into one. Our online booking pages currently list all events that are available at each of our circuits and you can then book yourself and your friends in. In the coming month, we are launching our new online booking system that will allow you to search for specific types of events, DMAX Open Races for example, so that you can find it easier to find exactly what you are looking for. Our new Online Booking system also offers a Shopping Basket so you can book multiple events in one go – just in case you need to book an Arrive&Drive to hone your racing skills as well as booking your place on an Open Race Grid. If you are a new visitor to one of our circuits, you will need to create a profile on the system (unless we created one for you when you booked). You can do this at our Rergsitration Kiosks in Reception, but you can also pre-register online to save time on the day. Remember – if you already have a profile at the circuit, you don’t need to create a new one. Whilst the launch of a Daytona App coming in 2018) may not quite bring the excitement that Apple’s iPhone X launch created, we are confident that our drivers will love having a smartphone app that gives them access to bookings and race history – as well as access to special offers! Our new online booking system will launch during November – Watch this space! DMAX-GT – it’s a Sodi but not as you know it! 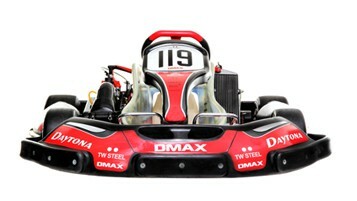 The latest fleet of karts to arrive at one of venues is the fantastic new DMAX-GT karts at Tamworth. Produced by Sodi Kart and built by our engineers to Daytona’s specification, these new karts have replaced the previous DMAX fleet at Tamworth. They are powered by the same Rotax FR125 EVO engine that’s used by the DMAX karts at Milton Keynes and Sandown Park, but the chassis is a little different to the Birel N35 used at the other venues. It’s also very different to the Sodi RT8 karts used as our standard adult kart throughout the group. It’s easy to assume that the kart is just a Rotax engine plonked on top of a Sodi chassis, but that doesn’t tell anywhere near the whole story. Although it has the Sodi DNA all over it, there are very few parts that are interchangeable between the Honda powered RT8 and the Rotax powered GTMAX karts. Along with a totally different chassis design, the GTMAX kart has a much wider track width both front and rear. It has a longer 50mm axle, a completely different steering set-up, the weight distribution is much more optimal, and the GTMAX kart is 20% lighter than an RT8 with 50% more power. All this makes for a completely different driving experience. Months of testing and development went into fine-tuning the kart before they were delivered. The lap times are analogous with the old DMAX karts at Tamworth but it might take you a few sessions to adapt your style to the GTMAX if you’re very familiar with the DMAX karts; they drive a little differently. 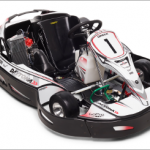 It will take a bit of practice to extract the maximum from these brand new karts, so book into some A&D sessions and get to know them better. A few weeks ago our Technical Director Richard Brunning wrote here on this very subject. Richard covered off mechanical sympathy and how a lack of it has lost more races than anything. I’ve managed to win a lot of races over the years – certainly a disproportionate amount when measured against my talent. My first ever race was the first ever British 24 hour race in pro karts at Rye House in 1991. My teammates were all very quick – I was the slowest driver on the team and found myself relegated to chief strategist some time in the early hours. It was, in the way of endurance races, fraught until the last lap with us battling Softek and Harry Handkammer’s Countax boys to the end. We had limited tyres and Countax pounded lap after lap and finished the race with duct tape wrapped around their front left. Strategy and tyre management were critical. We had the win and strategy played a huge part in it..
Move forward almost 25 years to 2016. I was asked to join the Track Time Solutions team in the Birkett 6 hour. The Birkett is a relay race with teams entering multiple cars and drivers. We had two Radicals and a supercharged Lotus Exige. Phil Knibb put his on pole and it was clear, very early on that we were in the running for a podium if not the win. I was sent out second in our Radical and handed over in 1st place after a 45 minute stint and a tankful of fuel. Neil Primrose (of Travis fame) then went out in the other Radical and maintained 1st place. The Lotus was then sent out by Team bosses Chris Tilly and James Breakell. The team were keeping a close eye on the timing screens and it soon became evident that we were in a race to the line with a team comprising four Radicals and that the Lotus wasn’t going to cut it. The Lotus was shown the IN board and I was sent out for another 50 minutes and another tankful of fuel. The Silverstone historic GP circuit is longer and faster than the GP circuit and, with 70 other cars out on the circuit, was a ride to remember – particularly when I returned to the pits and handed over in 1st. The other Radical went out again with Neil at the helm. I’m not entirely up to speed on what happened next but I believe that the Lotus had picked up a black flag for overtaking under yellows a little earlier. I was then sent out again to run a short 20 minute stint once the Radical with Neil driving had served the penalty. Neil then went back out and took chequered. Second place. Of course we were disappointed having sniffed the win however not bad for a scratch team of guys who had never met before race day. The important thing is that a decision was taken on the pit wall, slightly informally, to bin the Lotus and circulate the Radicals as we were then in with a chance. This meant that some drivers never got a look in however they were, I believe, happy to stand aside in the hope of a podium. Jump forward to Anglesey, November last year where Datum Motorsport entered Wade Eastwood and I in the Race Of Remembrance. A six hour race. In a team meeting before the race we discussed strategy and we were all agreed that the result was all we cared about. This enabled Team Boss Tom Robinson to make all decisions based on winning strategy rather than ensuring that everyone got equal time in the car. This is a big race with many entries and the weather in Anglesey to be taken in to consideration. One thing that is for certain is multiple appearances by the safety car. We really worked the safety car to our advantage making multiple pit stops under the safety car which of course meant the other cars were circulating at a fraction of race pace whilst we refuelled and changed driver. Just before the end of the race Wade came in with a broken gear linkage which meant he couldn’t change gear. He’d managed to pull one of the cables to engage third while driving but was now stuck in third. The boys started to cable tie the linkage to patch it together. I had an idea what had caused the problem as second gear had been difficult to engage and I was sure this had put pressure on the linkage so I leaned in to the car and shouted to Wade “forget second” meaning use 3rd 4th and 5th gears. He looked at me an said “second! I still want to win this!” – and win it we did, collecting the Heroes cup, which was a wonderful zinc coated and engraved 18 Lb artillery shell. 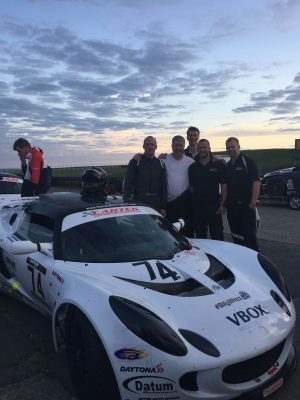 We returned to Anglesey recently and took part in the 750 Motor Club 3 hour race, once more in Datum’s Lotus Exige. This race was another big ask as we were up against GT4 cars, Touring Car Spec Seats and a host of BMW M3’s. We were entered into class B. Wade started and we were running top ten. the circuit was very busy with a lot of entries and, sure enough, quite early on the safety car went out. The timing was not perfect for us but we stuck with the plan and I swapped with Wade. I’d been out for about 40 minutes and was starting to get hot and tired when Tom came on the radio and said you are catching the class B leaders at 3 seconds a lap. I had a drinks system on board so was hydrating and when I heard Tom I thought that I could carry on indefinitely. It wasn’t to be though because a moment later the safety car went out again. Tom was straight on the radio with the instruction to box. Once again we swapped under the safety car and suddenly we bounced into top of class B and third overall. This was a very impressive feat by our little Lotus, up against much faster machinery. A Ginetta G50 got by Wade on the last lap but we had managed first in class and third overall. Another podium. Team bosses always face a dilemma unless they are paying the drivers in which case they can give whatever orders are needed. Where you have paying drivers or the car is owned by one or some of the drivers everyone wants their go and the team are therefore bound to change drivers at specific fair intervals. We run to a different set of rules. Wade is quick. In everything. Straight out of the box (pun intended). Me less so. Tom knows that he has a free hand in decision making and we delight in handing over strategy decisions to him and do what we are told. It works. We had quick drivers at Rye House but it was strategy that won the race. So, we have mechanical sympathy, are gentle on the curbs, and with the gear linkage. We have a winning attitude and with regard to strategy we start with the premise that the result is everything so we roll with the punches. Strategic decisions flow from this and a plan will always out in the end. Breakell Racing are putting together a SuperTeam for the Birkett this year (28th October – Silverstone) and the Race Of Remembrance has increased to a 12 hour race in Anglesey this year (11th /12th November). We will be there defending the Heroes Cup. 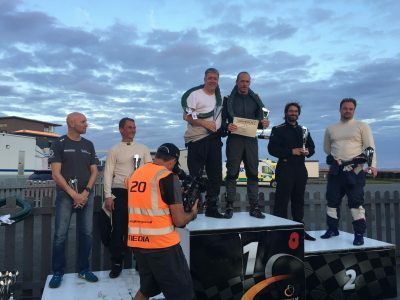 In my tech blog I usually focus on the technical aspects of racing or the kart itself, but one mustn’t ignore just how important the driver is as a factor of winning races. Drivers need to have a combination of four main things to be a regular race winner: An over-riding competitive streak, sympathetic technical knowledge of their kart, lots of practice and some luck. We can’t really help with the first or last of those four, but we are uniquely placed to provide the middle two. I’ve written before about our One-2-One Tuition and our Masterclasses, but Daytona’s tuition offering starts with our One Day Junior Race School. Each circuit holds these during school half-terms and holidays and offers up to 20 drivers aged 8-15 years the chance to get a thorough introduction to karts and racing. Mixing classroom theory with on-track practice, One Day Race School is invaluable in giving younger drivers their first step on the racing ladder. Our Race School instructors will explain exactly how the kart’s geometry works, the relationship between the kart’s speed and handling and how to maximise speed and minimise lap times around different types of corners. Because it’s Race School, we also concentrate a lot of time on how to overtake other drivers – and how to stop those other drivers from passing you. I always find it amazing to watch young drivers head out at the start of the day, already instinctively programmed to apply opposite lock when over-steering but then using that innate knowledge to deliberately promote oversteer later in the day when looking for a way to four wheel drift around one of the challenging corners on our circuits – so that they can keep the engine revs up and make their kart as wide as possible when under pressure from a chasing driver. The single best thing about Race School though is the fact that Graduates can enter our InKart Championships – which give young drivers the chance to race in a monthly championship round against other young drivers – and at a fraction of the cost of owner driver racing. So if you have an 8-15 year old who would benefit from a thorough introduction to the basics of motor racing, then check out when our next Race School dates are – and if you are over 15 and want a similar experience, then ask the team about our One-2-One Tuition and our Masterclasses. Following the 2017 Daytona 24 Hours, Daytona Technical Director Richard Brunning gives his expert analysis on how to win the Daytona 24hr. All 41 teams completed the race, thanks to a combination of the high standards of driving, the kart preparation and the effectiveness of the maintenance stops. 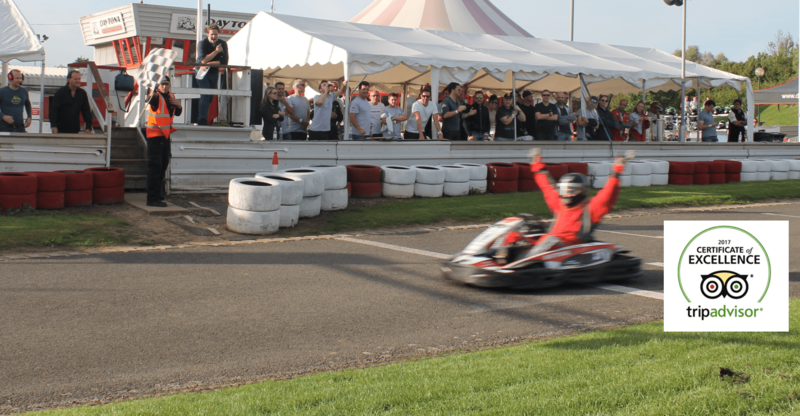 Some teams, however, looked after the karts better than others! The ultimate endurance race has always been the 24 hour event. Whether at Le Mans or at Daytona, the challenge is extreme for drivers and the vehicles – although these days drivers expect their karts or cars to be able to sprint non-stop for the entire race! This year’s race will be the tenth 24 hour taken on by our staff and over those years, we’ve learned a great deal about how to minimise the risk of mechanical problems during the event. The challenge for the engineering team at Daytona starts a month before the race. A huge amount of new parts are ordered and it’s important to get them all in stock well before the race to avoid any last minute issues. For the DMAX karts, the list of parts changed before the event is huge. Each kart gets – amongst others – new wheel bearings, clutches, chains, sprockets, brake pads, brake fluid, caliper seals, throttle cables, rod ends, batteries, electrical connectors, spark plugs and tyres. The karts are tracked up using lasers and the motor is set-up with a slightly smaller exhaust restrictor with a main jet to suit to keep engine reliability to a maximum. On hand in the pit garage during the race, each kart has five sets of brake pads available and we can swap the pads and top up the fluid during the mandatory maintenance stops in most cases, despite the brake system being red hot. During the stops all manner of things are checked; we look at tyre wear, brake wear, steering action, chain tension, throttle position etc. and adjust when necessary. A pit crew at Le Mans has one or two cars to look after during the race, our team has forty two. That means that the team have a minimum of one hundred and sixty eight pit stops to manage during the event – plus dealing with unplanned maintenance requirements and crash damage. The best way to win a race like this is to stop for the minimum amount of times; therefore each driver tends to sprint as fast as possible between fuel stops. Any extra pit stop apart from fuel and mandatory visits to the garage is wasted time. To maximise the chances of winning the race, it’s important to look after the kart. While every effort is made to make them as reliable as possible, it’s up to the drivers to look after them out on circuit. By smashing kerbs, overheating brakes and tyres and generally driving with little mechanical sympathy, you run the risk of something breaking. Motor racing is a tough sport and an endurance race over 24 hours is as tough as it gets, so while no expense or effort is spared to prepare the karts, sometimes things go wrong. We prepare the karts to the highest standard possible so you can go out and enjoy the driving, but while you’re out there, just spare a thought for the kart and treat it well; it might just win you the race. When the idea of the GPK series was first mooted, one of the most important decisions to make was what equipment should we provide. There was the tried and tested route of Rotax or X30 engines, but we wanted to bring a little more excitement to the series. We entered into a dialogue with Strawberry Racing who are the Tonykart and Vortex importers to the UK. Tonykart are the most well known brand in world karting and produce arguably the best chassis on the planet and their Vortex engine department is similarly well respected. 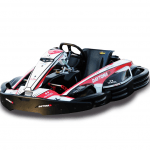 We quickly realised that a partnership with Tonykart would bring the best equipment available to our customers. But, which engines? Vortex – like other manufacturers – make many different models of engine for various classes throughout the world. In recent years, the touch-and-go (TAG) models with electric start and centrifugal clutches have been prevalent everywhere, but the CIK have gone down a different route with their latest engine requirements and have got rid of these features. What has been left is a 125cc, push start, direct drive engine of supreme simplicity and performance. To give our customers the most exciting kart racing series imaginable, this was the engine we wanted for the junior and senior classes. For the cadet class, the proven Vortex TAG 60cc engine will provide ease of use and great performance. The decision on the engine made, it was then very easy to pick the fantastic Tonykart Racer 401S chassis for the juniors and seniors and the Rookie chassis for the cadet class. With the support of the Tonykart factory in Italy, we took delivery of all this equipment to test. We have chosen to use the Bridgestone ROK tyres for the championship for several reasons. First among them is the brand. 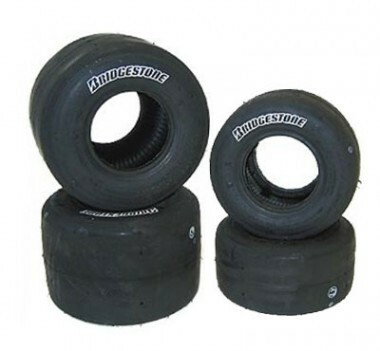 We use Bridgestone tyres throughout Daytona and have always found them to be of the very highest quality. The ROK tyre is durable and consistent as well as being fast. It’s the perfect balance of wear and performance and is ideally suited to the GPK series philosophy – and to the UK circuits. Bring all these components together and what you get is the most exciting kart racing series in the world. During the long endurance races we hold at Daytona, one of the most important aspects from an engineering point of view is the regular maintenance stops. To make it fair, we have all teams stop for a minimum of five minutes at regular intervals throughout the race in order for the engineering teams to check over the kart thoroughly. Most of the time, it takes fewer than five minutes, but if we encounter a problem we can normally rectify it within the allotted time. We check for the main safety and performance issues, for example: tyre wear, chain tension, brake pad wear, steering assembly, wheel bearings, throttle cable tension, clutches, electrical connections and much more. With up to 40 karts to maintain every few hours, the engineering team is kept busy throughout the race. It’s time consuming and very hard work but ultimately it helps us to ensure that the karts perform well throughout the race and most importantly, that they are safe at all times. Motor racing is no different to any other competitive sport; winning is all in the mind. Obviously talent and determination are also key factors but to get to the chequered flag first, it takes a large degree of mental acuity. It’s no good turning up to a race already thinking you’re going to be beaten. Winners have only one thing on their mind: winning. It’s all in the head. Mind games are a part of racing and can take place on or off track, just don’t get caught being suckered into it. Keep a level head at all times and concentrate on your own job. One of the most consistent things I see on track is leaders who chance a sneaky look behind them. Don’t do it. No seriously, don’t do it. Almost every single time someone looks behind them from the lead, they end up losing the race. You’ll know if someone is close – you can feel it, hear it, you just know it. Keep your head, keep looking forward and concentrate on your lines. Make the others do the work. The first lap of a race is probably the most important. At the start, don’t do what everyone else is doing; take a different line, look for opportunities and take them. Make a decision and stick to it. Where people come unstuck is when they’re caught in two minds, the decisive drivers tend to always make it stick, the indecisive drivers tend to always spin off. 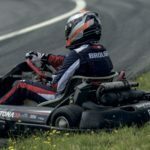 While driving a kart at the limit is physically demanding, the total concentration needed to sustain the performance for extended periods is just as, if not more draining. Only by practicing can you build up the mental strength required to focus for the time needed to win a race. Some use test sessions, some use simulators but whatever you use, be sure to maximise your time and keep your mind focussed on the mission and don’t allow your mind to wander. Build the session lengths up if you’re having trouble but the more you put into it, the more you’ll achieve. Hitting the gym or pounding the pavements is great for keeping your physical fitness, but to neglect your mind is to hand others an advantage before you even take the green light. The winners seize every advantage. With the choice between various karts available at Daytona’s circuits, it won’t be a surprise to learn that it takes different driving styles to get the best out of each of them. The Sodi RT8 is a very different animal to the DMAX kart. With the Sodi at our outdoor tracks, you’ve got a torquey 390cc single cylinder, 4-stroke engine that has a lot of low-down pull. Conversely, the DMAX have a high revving 2-stroke engine that needs to be revved hard to extract the best performance. The ideal way to drive a Sodi kart is to be smooth with the controls. 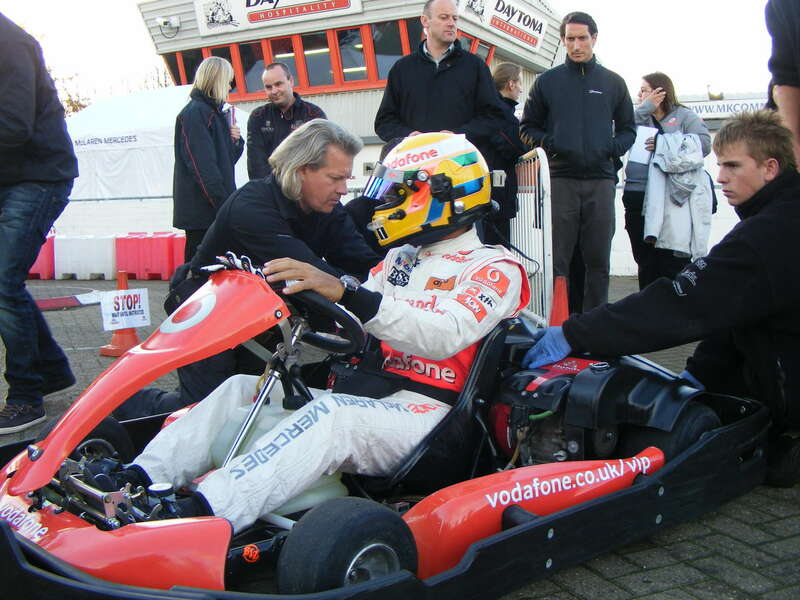 It’s essential that you brake in a straight line and turn the steering wheel after you’ve finished braking; it’s not ideal to trail-brake into the corners with these karts as the relatively narrow rear width means that if you do trail-brake, it can set up a ‘hop’ through the corners which can be quite uncomfortable. Once you’ve turned in, stamp on the throttle and let the torque drag you through and off the corner. The light steering is quite precise on initial turn in, but then if you’ve carried a bit too much speed into the corner, it can turn to understeer in the middle phase of the turn. Be accurate and get on the power early to get the best from them. 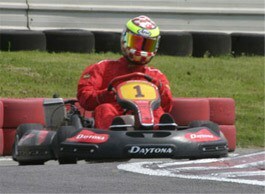 The DMAX karts are quite different. You can be much more aggressive with the kart. It is set-up much more like a pure racing kart and, to get the best from it, you have to be assertive. You can trail brake the DMAX karts without it hopping, so you can brake a little later than you might in a Sodi. The engine needs revs to stop it dropping out of the power curve, so your job is to keep your minimum RPM through a corner as high as possible. That means getting back on the throttle as early as you possibly can – squeezing the pedal smoothly to avoid bogging down – and keep the engine spinning over. Be aggressive with the initial turn in, getting the kart to pivot and then unwind the lock quickly as you apply the power. Don’t be afraid to chuck the kart about, it won’t bite you; the grip in the dry is very constant and predictable. Both karts offer a challenge in different ways, so take your time to learn both styles and don’t be afraid to get it wrong from time to time! Extracting the best performance from the two types of kart is very satisfying, but not everyone can do it. Can you? In the final part of this series on basic kart dynamics, we’re going to investigate chassis materials and stiffness. Race karts come in many different shapes and sizes. Although the trend lately has seen most of the major manufacturers use a very similar chassis design, this wasn’t always the case. Generally speaking, a stiffer chassis generates more grip than a softer chassis. The innate stiffness of a kart can be affected by two means; first the actual layout of the rails and then also the rigidity of the tubing used. Most karts come in 28mm, 30mm, or 32mm tubing and are often made up of a combination of these sizes to achieve the desired rigidity. You might think that more grip equals faster times but the truth is, once more, far more complicated. One of the most desired characteristics of a kart is for it to ‘release’ off the corners. A kart with too much grip will bind up and not allow the engine to accelerate as quickly as it should. This is especially noticeable with low-powered engines such as cadets. The type of tyre is also part of this equation. 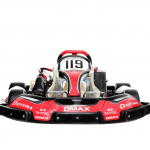 For example, our DMAX karts have reasonable power, but a fairly hard tyre so a stiff chassis is needed to work the tyres hard enough to generate the grip needed. The Birel chassis we use has a unique 35mm diameter tube which allows the kart to have a relatively standard race kart chassis design but combines this with the strength needed to be as durable as we need and work the tyres hard enough to generate the grip. Axle design has changed dramatically over the past twenty years or so; it wasn’t long ago that an axle was just a piece of 30mm steel bar. However, we’ve seen that develop now to a very lightweight 50mm hollow axle with a multitude of different stiffnesses. A hollow tube is inherently stiffer and lighter than a solid bar so while originally the hollow axle was fitted for weight saving purposes, it wasn’t long before racers realised they could tune their karts handling by using different grades of axle. No self-respecting racer goes to a meeting without at least 2 or 3 different grades of axle now! Need more grip? Change to a stiffer axle. Bogging down out of corners? Change to a soft one. Even seats have many different grades of stiffness now. It is not unusual to try multiple seats to fine tune the kart in the same way that you might change an axle. Thankfully, when you come to race at Daytona, we’ve done the hard work, development and research for you so all you have to do is put your visor down and concentrate on the track ahead of you. 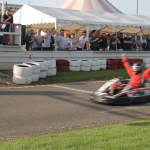 Part two of our series on the basics of kart dynamics concentrates on kart track width. On e of the easiest ways to affect the handling of the kart is by adjusting the overall distance across both the front and the rear wheels – the track width. As we aim for uniformity across our fleets, our karts at Daytona don’t have a huge amount of adjustability, but we can play with the track widths. 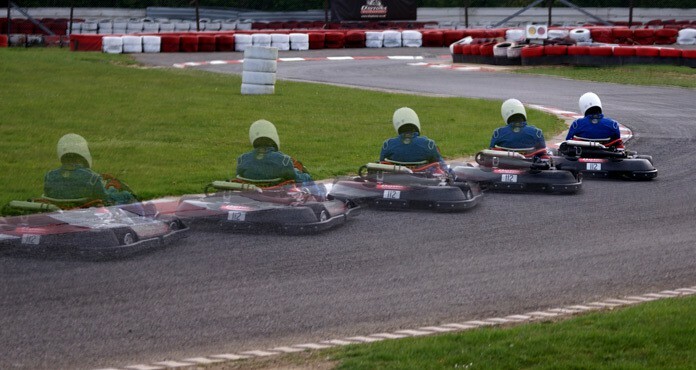 Each type of kart at each of our venues is tuned for the demands of that particular circuit. Milton Keynes for example, needs a slightly different set-up than Sandown Park due to the tighter nature of the MK track. Tamworth, with its sweeping corners and high-grip surface, needs a whole different set-up again. We can adjust the rear track width on our karts fairly easily. The effect of this is to either increase or decrease the amount of grip on the rear end of the kart. If you decrease the track width – that is, move the wheels inward towards the chassis – you increase the amount of grip at the rear. The opposite is true – move them out and you decrease the grip available making the kart slide a bit more. It’s not always the case that more grip is better. If you have too much rear end grip, the kart can bog down on the exit of corners and destroy your acceleration out of the bend. It can also set up a ‘hop’ where the kart bounces around the corner which isn’t quick and can be uncomfortable to experience. Therefore, it is always a fine line between creating enough grip to corner as fast as possible without bogging the kart down. Getting the chassis to ‘release’ correctly is a fundamental part of chassis set-up. The front end track width has more effect on the kart than the rear. In a full race kart on good rubber, we tend to set the rear width at maximum +/- 10mm and use the front end geometry to change the handling. Basically, the wider the front end, the more grip and turn in you get from the kart. As I illustrated last week, the jacking effect of the front castor angles is very important to the turn-in characteristics – so it follows that increasing the front track width increases the jacking effect of the chassis allowing the inside rear tyre to come off the ground quicker and higher. This allows the kart to pivot faster. However, there’s a point at which the kart becomes unstable and oversteers too much, so finding the sweet spot between having enough front grip to make apexes at speed and not having the kart oversteer is a tricky thing to achieve. Throw in different castor angles and Ackermann angles and the set-up variations are almost infinite! It’s very easy to get lost attempting to set a kart up correctly, so most manufacturers supply a base line set-up sheet for their karts. Start there and tweak only one thing at a time when testing. Write everything down so you can refer to your findings later. Kart track widths are a powerful tool for achieving a good handling kart and it’s one of the areas that Daytona works hard on to make sure you have the best experience possible at our circuits. 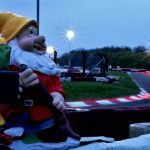 This is the first in a series of articles that will hopefully demystify the rather arcane workings of a racing go-kart. On the face of it, a go-kart is very simple; you have a tubular chassis, four wheels and an engine. The steering is as simple as it gets – no rack and pinion mechanism for karts – and a solid rear axle that drives both rear wheels with equal torque. Easy… However, this simplicity hides a much more complicated truth. A go-kart has no differential, or diff for short. In a car, the diff allows the driven wheels to rotate at different speeds around a corner. The outside wheel always needs to travel further than the inside wheel. Without a diff, turning becomes very difficult as the two driven wheels are always working against each other. This tends to result in horrific understeer. In a kart, the solid rear axle with no diff means that understeer is a certainty. The castor angle however, goes a long way to combating this phenomenon. The way this works is that the castor angle means that every time you turn the steering wheel, you ‘jack’ the inside rear wheel of the kart up. This momentarily picks the inside rear wheel off the floor allowing the outside rear wheel to rotate the necessary further distance. When you turn the steering wheel, you are literally physically picking the rear wheel off the ground. You can see this happening if you watch the really fast drivers closely. The wheel can come off the ground a long way! The way to make this work for you is to turn the steering wheel very quickly, with controlled aggression and then immediately bring the steering wheel back to centre. You’ve picked the inside rear wheel up, the kart has pivoted around that wheel, then both rear wheels are back on the ground and you’ve got your foot hard on the loud pedal driving it through and off the corner. It’s a technique that takes some practice to master, but that’s how you get the most from the way the kart is designed to work. In the next article, I’m going to explain go-kart track widths which work hand in hand with the castor angle. We’ve been busy commissioning brand new fleets of Sodi RT8 karts across the group this month. All of them feature both adjustable seat and adjustable pedal positions so that we can welcome drivers of almost any height. But what a lot of people don’t realise is that, whilst comfort and ease of driving are very important factors, the seating position is one of the most important factors when it comes to lap times. The Sodi karts weigh 150kg. Our drivers may weight anything between 50 and 150kgs. With the average driver making up about one third of the combined weight of the driver and kart, the positioning of that third of the weight is important as the driver’s position within the kart fundamentally affects the handling of the vehicle. Owner drivers set the seating position as per the chassis manufacturer’s instructions and then adjust the pedal positions to suit the individual driver. This gives the kart the best handling characteristics possible and is fixed. A number of other factors can affect the kart and can be changed; for example seat design, seat stiffness, the addition of metal seat stays etc. In one of our Sodi RT8 karts, moving the centre of mass longitudinally along the kart by adjusting the seat position can have a huge effect on the handling. If you are struggling with the kart understeering for example, by moving the seat forward you move the weight towards the front and therefore more load is going into the front tyres. This will decrease the understeer, but move it too far forward and you’ll end up with the opposite problem of too much oversteer! If you’ve got too much oversteer, move the seat backwards a little to plant more weight over the rear axle and thereby reduce the amount of oversteer you are suffering with. As the pedals are independently adjustable to the seat, almost everyone can find that happy balance. Don’t assume that the most comfortable position is the fastest because it may not be. Why not take the opportunity in an arrive and drive session to come into the pits, adjust the seat and the pedals and try to find a position that suits your driving style and that reduces your lap time. Our marshals will be happy to assist and offer advice. We can now use the same sort of technology that that used to be the preserve of Formula One teams. 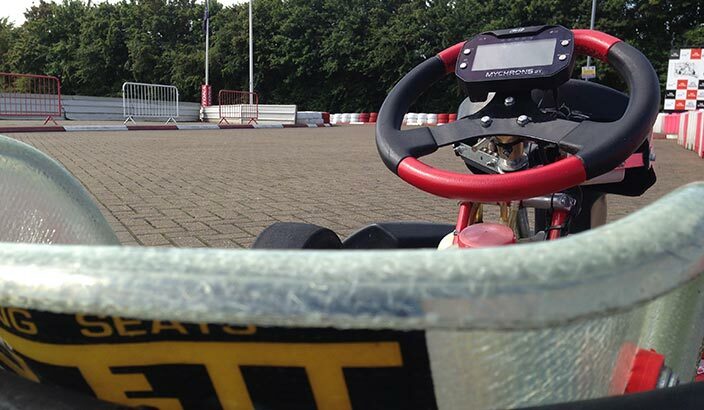 We can fit the latest, state-of-the-art data-loggers to our karts. They have integral GPS chips that uses both the American GPS system and the Russian GLONASS system with unparalleled accuracy – and are able to update your current lap against your best lap every ten metres or so! These are fantastic tools for trying different racing lines and getting instant feedback as to whether your new line into or out of a corner has worked or not. 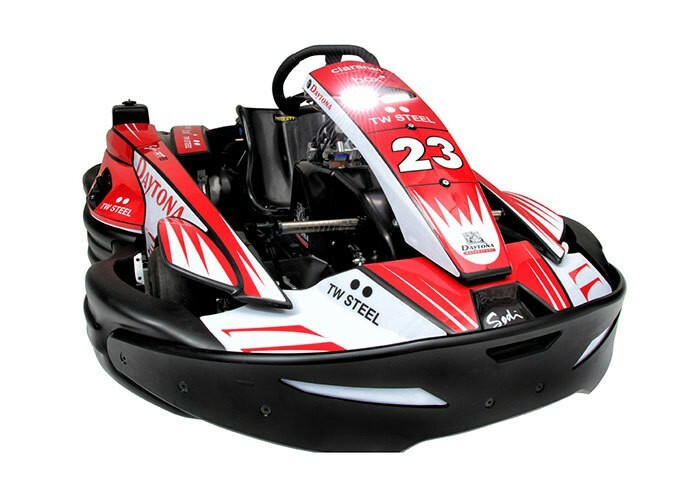 They also combine RPM and GPS speed measurement with an additional array of sensors like steering angle, throttle position and brake position so that we can see exactly what the kart and driver are doing every millisecond of every lap. When you add all this up, they make for the most powerful tools available for improving your lap times. Our instructors are very experienced and when you are looking to improve by a few seconds a lap, it’s quite easy for them to see what you’re doing wrong. However, when you’re looking for improvements measured in tenths or hundredths of a second, the data-logging comes into its own when we can overlay your data traces on a graph against an instructor’s data. This gives us an in-depth view of what the differences in driving style and lines are and suggest improvements based on the empirical data. We can also use this level of technology to ensure the competitiveness of our fleets of karts. If we identify that a kart’s lap-times are not within our acceptable range, then we can use the data-logging equipment to identify where the kart is losing time and thus deliver even fleets at our venues. If you would like to sample just how F1-style technology can improve your racing, why not try one of our One-to-One Tuition sessions? Kart Engines – Two-Stroke or Four-Stroke? 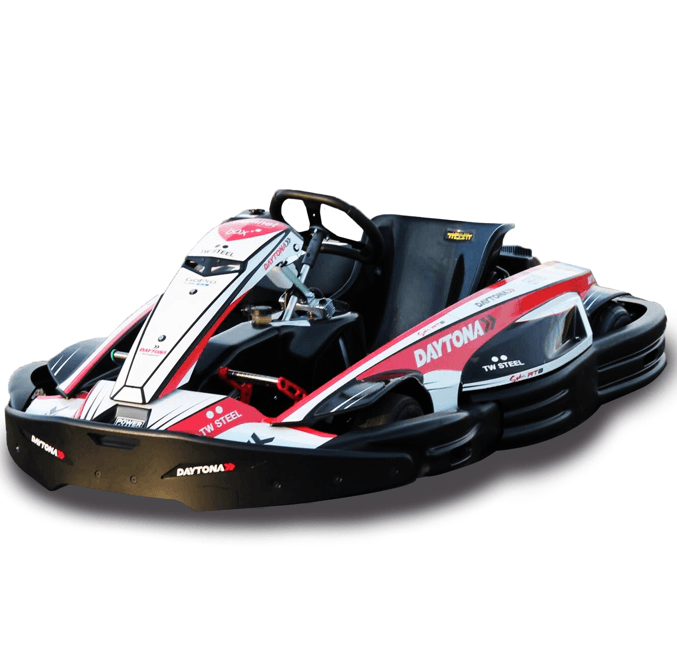 Daytona is in a unique position to offer drivers a choice of either our Sodi RT8 390cc Four-Stroke Karts or our DMAX 125cc Two-Stroke Karts. Despite the former having over 3 times the “cc”, the latter are actually more powerful and thus faster. In this tech talk, I hope to explain in layman’s terms how the smaller engine DMAX fleet are faster. Kart engines are not that different to car engines. They both use the internal combustion model to mix air and petrol to create an explosion that pushes a piston down which, in turn, turns a crank that provides drive. The key difference between our senior fleets of karts is the different way that the engines work. A 2-stroke engine has no need of conventional valves to open and close for the inlet and exhaust, it combines the intake, exhaust and power in the same downward stroke and the power stroke happens every single complete turn of the crankshaft. The Two-Stoke engine produces much more power as a result meaning that the engines can be lighter and smaller. Our DMAX 125cc engines are about half the weight and size of our Honda 390cc engines. The former produces 22bhp whereas the latter outputs 13bhp. The main disadvantage of a 2-stroke engine is wear. They need much higher RPM than a 4-stroke engine to produce the power. The Honda GX390 engines in our Sodi karts revs at a maximum of around 4400rpm, whereas the DMAX engines rev to over 12,500rpm. These extra revs combined with the fact there’s no dedicated lubrication system – all the oil is pre-mixed into the petrol – mean they wear out much quicker than their 4-stroke brethren, therefore, they’re more expensive to run – requiring a major engine rebuild quite often. 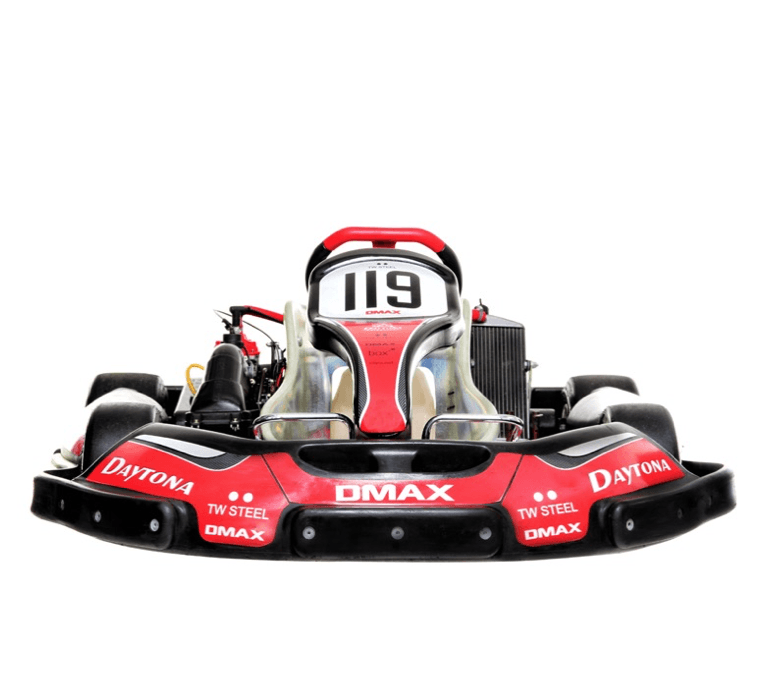 But even though they cost more to buy and cost more to run, pound for pound, a 2-stroke produces more power for much less weight, that’s why we like them and that’s why we use them on our DMAX fleet which are the fastest arrive and drive karts in the UK! During the course of a normal week, our fleets of karts get driven hard in all conditions by our customers and I think it’s fair to say that not everyone treats them as carefully as we would like. Consequently, they often get driven across the grass, the kerbs, binned into tyre walls and occasionally other karts. This takes its toll on the cleanliness of the karts. Amongst our armoury, we have various different products to tackle the inevitable build-up of grime, dirt, grass and tyre marks. We recently entered into a partnership with Power Maxed for the supply of all of the chemicals and kart maintenance products we use on a day-to-day basis. This wasn’t entered into without quite a lot of testing. Despite many different suppliers offering a similar sounding product, there are huge differences between the respective qualities. We’ve found the Power Maxed range to be very good indeed; more than a match for our previous products. When you’ve got 100 karts at a venue to clean and maintain, it takes time to jet wash and polish all of them, so what you don’t need is a chemical that requires multiple applications to achieve the finish you’re after. With the Power Maxed TFR and their engine degreaser, once is enough and the kart is clean. We get through literally tonnes of chain lube every year but with chains and sprockets being critical components, you need a very high quality lube to cut down wear and maintain reliability. This product is probably the most critical when it comes to kart reliability so we wouldn’t compromise on the quality. Thankfully, Power Maxed produces a superb chain lube. Tyres – they’re black and round and connect you to the track right? Well yes, but there’s far more to it than that. With a range of different karts and four different tracks to content with, there’s no ‘one size fits all’ solution. 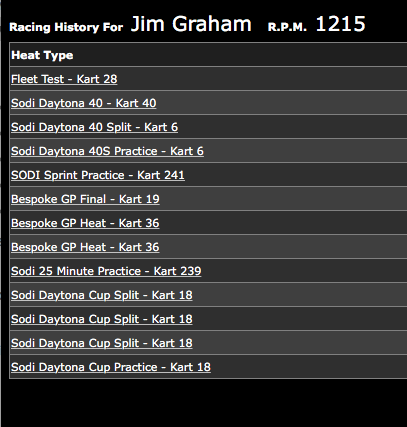 At any one time, there are approximately one thousand two hundred tyres on karts in the Daytona group. Each track has its own particular needs when it comes to tyre selection. For example, Sandown and Tamworth are very sensitive to noise so a tyre that doesn’t squeal so much is ideal. Manchester has the bridge so a higher sidewall for more ground clearance is ideal. The track surfaces are all very different too and that has a huge impact on tyre wear. Replacing tyres is the number one biggest cost of running our karts and during the summer months, we can be changing tyres on a bi-weekly basis. Therefore, choosing the right tyre for the track has a massive impact on our business. The very long corners of the new section at Tamworth put a lot of load into the front tyres and they wear out quickly on the new, very grippy surface. At Milton Keynes, the stop-start nature of the layout combined with a relatively low grip surface mean that a different compound can be used to maximise performance. At Sandown Park, the corner known as Vale wears out the left front tyre very quickly, so the front tyres get swapped from side to side to even out the wear. Each of the different tyres we use needs a different tyre pressure to perform at its best and this will change from day to day as the weather and ambient temperature changes. In the winter, we use a higher pressure than in the heat of the summer to make sure the tyre comes up to working temperature quickly. In a long race like the Daytona 25hr, we might drop the pressures by a couple of psi to keep the tyre from overheating during the long stints. We all tend to take the rubber for granted, but there’s an awful lot of thought, testing and experience that go into making sure the tyres you drive on at Daytona are the best suited to giving you the best possible racing. Why did we choose the Rotax engine for the DMAX fleet way back when we originally designed them? Well there were a number of factors that led us to this decision. We tested a range of direct drive, air-cooled, water cooled, different capacity engines before finally deciding on the Rotax FR125 engine. We have to balance performance with reliability, speed with noise and ease of use with racing kart feel. The Rotax engine gives us the best blend of these attributes whilst retaining the characteristics of a proper racing kart. For example for the sheer visceral thrill, nothing beats a direct drive engine but the problem is they need bump starting and this is a huge issue if you spin off – the engine dies instantly and then you have to wait for someone to come along and start you again. Therefore, an on-board electric starter was absolutely essential. Air cooled engines are much simpler to maintain and package as there’s no radiator or water hoses but they are noisier and the cooling isn’t as efficient. 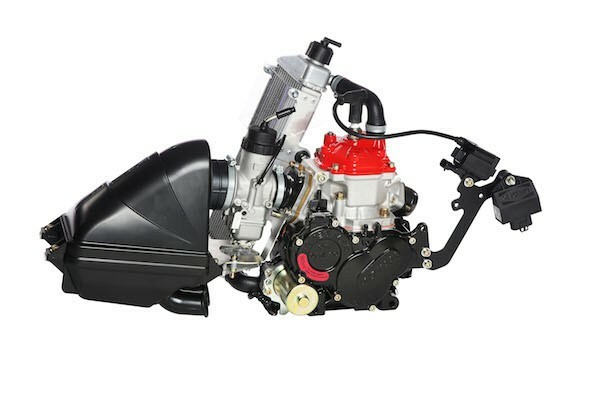 The Rotax has an integral water pump so it does not have to be driven from the rear axle like many other engines so it’s not vulnerable to off track excursions. We balance the performance using different sized restrictors, so we are not using the maximum amount of RPM available therefore prolonging engine life and giving us the ability to fine tune the performance of each individual engine to ensure parity across the fleet. We don’t usually sell our used karts. 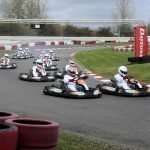 If we did, then we could honestly describe them as having one careful owner – but we would probably have to advise any potential purchaser that each kart had probably had 50,000 drivers. Our karts don’t have odometers, so we can’t watch the miles clock up, but our timing systems do log every lap that every kart does. 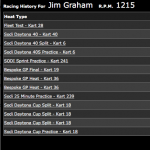 In about ten seconds, we can look up the kart running hours, number of laps, average lap-time etc for each and every kart in the fleets. Obviously we record every lap because drivers like to know their lap-times and their race positions – but we also log them so that we can measure each karts relative performance to ensure that they are as even as possible. We also log the laps so that we can use planned preventative maintenance to ensure that we replace worn parts in good time so that they don’t let the driver down in a race. You could compare our karts to Trigger’s Broom in Only Fools and Horses. We replace so many different parts throughout the lifetime of each kart, its very rare for any orginal parts to still be on the kart when it reaches the end of its life – and that includes the chassis – which is also a replaceable part. 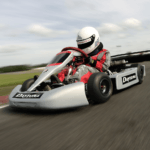 The Rotax 2015 Evo Engines on our Dmax karts cost £2500 each so we cant afford to throw them away – but we can get them rebuilt and that’s what is happening this January – even thought that costs over £400 per engine! We are very excited to partner with Power Maxed – our new technical partners and we are looking forward to measuring the life of kart parts that they will help us lubricate and protect over the coming years. We know they look forward to proving that their products will help maintain and present Daytona’s karts to an even higher standard in the future. We looked at the stats for our fleet of Sodi RT8 200cc karts in Manchester recently and found that the fleet of 24 karts had done 1.84 million laps since they arrived 18 months ago. That’s nearly 24,000 miles per kart and well over 500,000 miles of hard racing. Whilst that doesn’t sound that many when compared to Tim Peake’s daily 472,000 miles travelled in International Space Station since he popped up there, its still a lot of miles of hard racing – and a lot of fun. Next time you set off for a fast lap around one of our tracks, it may be one of 1000’s of laps that day but we know that every lap is important and we always aim to ensure that the kart is up to the job! 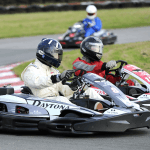 With six different types of karts running on four different home circuits plus away rounds for DMAX and special events, how on earth do you settle on a specific gearing for each of the karts? Setting the gearing for a race kart is relatively simple. You arrive at a circuit and set the gearing to achieve your maximum RPM at the very end of the longest straight. You then fine tune a tooth here and a tooth there on the rear sprocket until you’re happy with the performance. Not so with a fleet of corporate karts, although the principle is similar. Tamworth has a comparable compromise to Milton Keynes with its very tight hairpin and flowing, fast first section. The compromise on all our karts also needs to take into account weights of drivers. What might suit a 50kg junior driver would not suit a 100kg senior driver so we have to test with different driver sizes too! The juniors and cadets also need careful thought as for most of the time, they get used on the shorter club and north circuits, but once a month get let loose on the bigger full tracks at each of our outdoor circuits. As it takes a lot of work and time to change the gearing on a full fleet, the compromise is that they need to perform on all types of track layout. Thankfully, the Honda engines are very flexible and allow us to gear them accordingly without too much protest from them. The DMAX fleet has gone through a number of different gearings over the past few years. Attempting to fix one ratio to suit all circuits is really difficult, but with the new Rotax Evo engines, the increased low down performance has meant we can make the gearing a little longer to cater for faster circuits without compromising performance at tracks with tight hairpins. That increased low down pull has meant the racing is closer than ever. It’s tempting to believe that we created the new 2015 DMAX karts out of a bunch of parts readily available off the shelf. That is not exactly the case though. We have been running the original DMAX karts since the middle of 2008 and in the years that followed we’ve learned a great deal about what goes wrong and what’s right on the karts. We didn’t sit down with a fresh sheet of paper for the 2015 fleet, we knew that the chassis is fantastic, the tyres suit really well and that towards the end of 2014, Rotax were coming out with an updated FR125 MAX engine. Details about the engine were scarce, but the factory let us in to a few secrets early on. The carburettor has been completely redesigned internally, the piston and conrod had been changed to increase reliability and the ignition and wiring loom had been totally replaced with new parts. All very exciting of course, but what about the rest of the kart? Drawing on more than six years of experience, we went about designing and making some custom parts to make the karts even better. The water hoses are now attractive three-ply red silicone units tooled up and made specifically for us. We designed a custom made exhaust manifold made out of billet steel that fits the special ELTO exhaust much better than the previous manifold. 2mm thick steel restrictor plates sized in 0.1mm increments have slots machined where the holes would be so we can quickly change a restrictor and fine tune the engine performance to ensure parity across the fleet. The karts come with an updated brake caliper from Birel and this is married to a brake line made especially for us using -3 JIC stainless steel braided motorsport brake hose. The engine mount now has an additional red anodised aluminium spacer plate due to a design change late on in the process. The old wiring loom had push on, crimp fittings that occasionally came off during a race which was very frustrating for all concerned. The new loom has bolt on terminals at every point and the starter motor is fired through a relay so there’s no high amperage at the ignition switch. Birel switched to a slightly different Ackerman angle on the steering column for the latest karts which makes the steering lighter and easier on the arms. All in all it comes together to make one of the most technologically advanced karts on the planet. All this stuff doesn’t happen by accident, much of it isn’t readily noticeable by all but the few who really know what they’re looking at. We’re lucky to have a team at Daytona who put an awful lot of hard work into bringing our customers the best experience possible. We continue to develop the karts, trying new things behind closed doors, always innovating and improving the fleets. It’s no good standing still because sooner or later you’re going to get overtaken; we push the envelope so you can push the limits. Petrol; you purchase thick end of 250,000 litres a year from the same supplier you put it in the karts and forget about it. Right? Wrong. During the latter part of 2009, I kept getting reports from our Sandown Park circuit that karts were stalling too frequently, performance was down and there was a lot of carbon build up in the inlet tract of the engines. Now, we use EXACLTY the same fuel at Milton Keynes as we do at Sandown; it’s shipped from our huge tank at MK in large barrels down to Sandown. At MK, we saw few of the problems that SP were experiencing so it didn’t immediately flag up fuel as an issue. However, after considerable research, I found out some interesting stuff. My initial thoughts were that we were buying ‘clean’ fuel without any additives. Without the small amount of detergents and other highly complicated chemicals present in all forecourt bought petrol, I thought this might be giving us all the carbon build up, dirty inlet valves etc. I was wrong. As Brussels is wont to do, they issued a new EU directive a few years ago that stated that all pump gasoline should have at least 5% renewable fuel content by the end of 2010. This renewable fuel is Ethanol. Now, ethanol is lovely stuff, in fact, every time you have a beer or a glass of wine or a Bacardi Breezer, you are drinking an amount of ethanol. However, ethanol is hygroscopic and when added to a fuel tank that has water present, it mixes with the water, forms a sludge and drops to the bottom of the tank. This would be bad enough except as the ethanol mixes with the water, it draws out some of the octane from the fuel. What you are left with is a water/ethanol sludge at the bottom of the tank and octane deficient fuel floating on top. Not the best for running any kind of engine on. This was the cause of the problems. Once I had established this as the issue, fixing it was actually really easy. A company came to our MK venue with a van and a load of intricate kit. They succeeded in sucking out dozens of litres of sludge and water from the bottom of the 22,000 litre underground tank and then proceeded to ‘polish’ the remaining fuel. This is basically an extreme filtering process which over the course of a few hours takes all the fuel from the tank and puts it through various filters, magnets and clever bits of kit to leave you with pristine, fresh, lovely fuel. The smallest filter the fuel goes through is just 3 microns! I wanted to test the ‘new’ fuel immediately and on a back to back test found an improvement of half a second a lap straight away. Success! Having been through this and scratched my head over the issue for some considerable time, it occurred to me that many of us must have water in our own cars fuel tanks and would be completely unaware of the problems it might cause. So I recommend the use of a fuel tank additive such as Wynns Dry Fuel that binds with the water molecules and allows it to be burnt through the engine. This only needs to be done once every 6 months or so and you might find it improves the performance of your vehicle. And let’s be honest, who doesn’t want better performance? We at Daytona do, and that’s why we’re constantly striving to bring you the best karts on the best tracks at the best venues in Britain.